The heaths and heathers (Erica s.l. ca. 700 spp.) comprise a large group of acid-loving woody plants. Although some species occur in Europe and the Middle East, most of the species are found in the southwestern Cape Province of South Africa. Several other genera have traditionally been recognized as closely related to Erica. 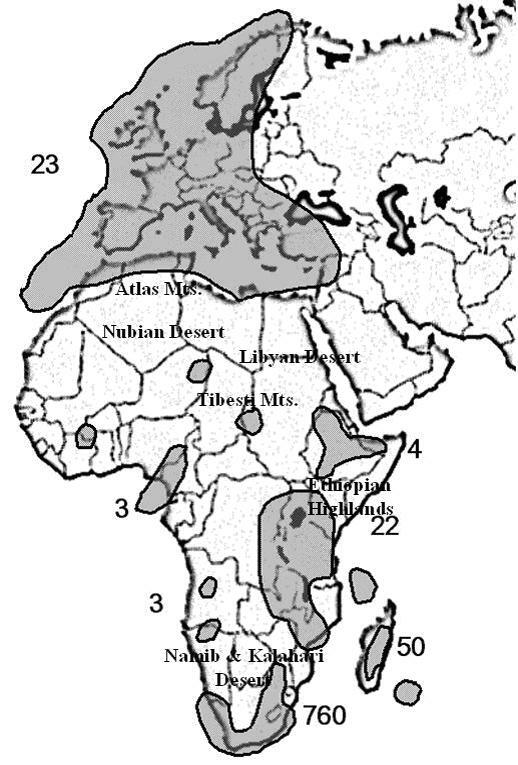 These genera are found primarily in Africa but are most diverse in the southwest Cape region. The ericas are extremely diverse in floral form and color in South Africa (Schumann and Kirsten, 1995; Oliver, 1989). This is in contrast to related species in the same genus in Europe that possess stereotyped bell-shaped floral morphology. Ericas from the Cape region have flowers that range from tubular to bell-shaped and exhibit tremendous variation in color. Many have bi-colored or tri-colored flowers that are often sticky on the outside. 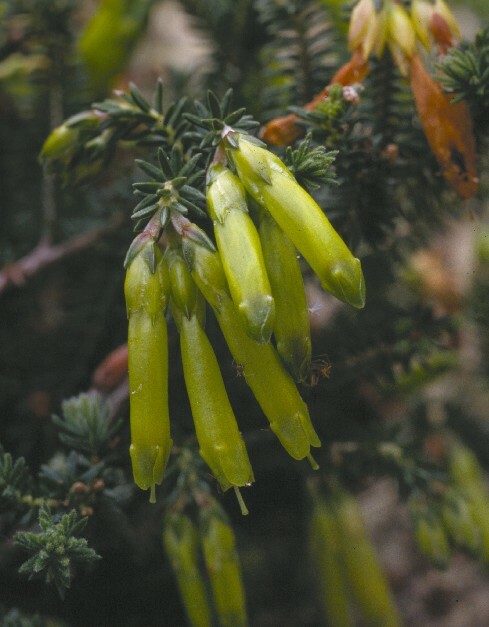 Within the Cape region alone, 650 species of Erica have been recognized. Observed pollinators include nectar eating sunbirds, long-tongued flies, and bees. Wind pollination occurs in many species.